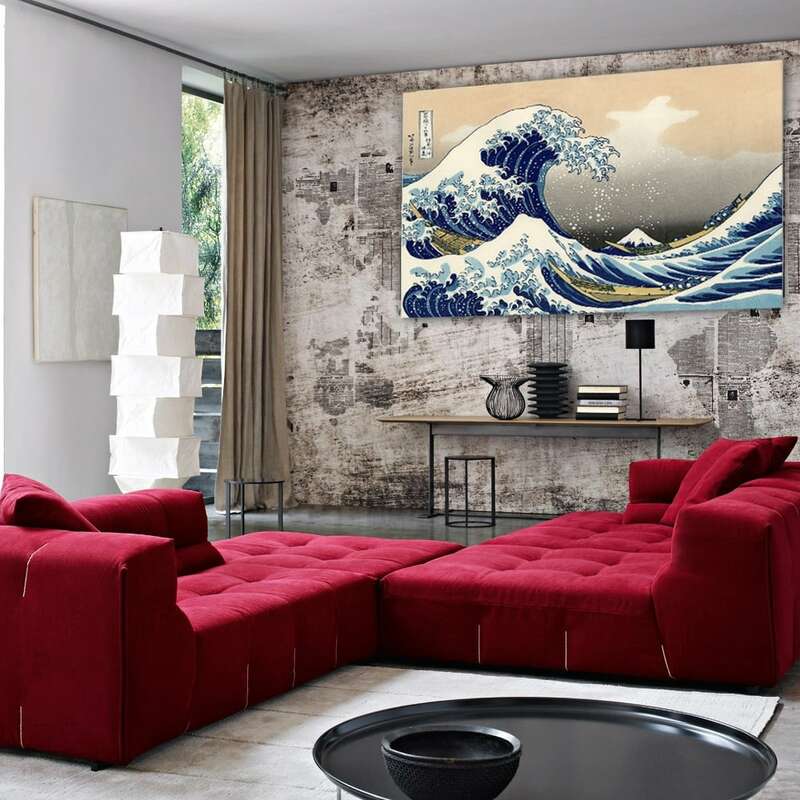 The big wave of Kanagawa in a unique design canvas ! 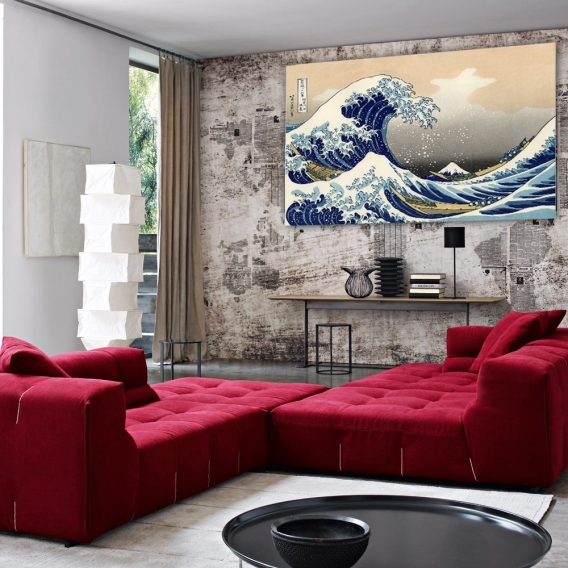 Immerse yourself in the Edo era with this decorative canvas. The dimensions of this modern decoration are 90 x 60 cm and a hook is integrated at the back of the frame. Delivery around the world for this Japanese canvas print. 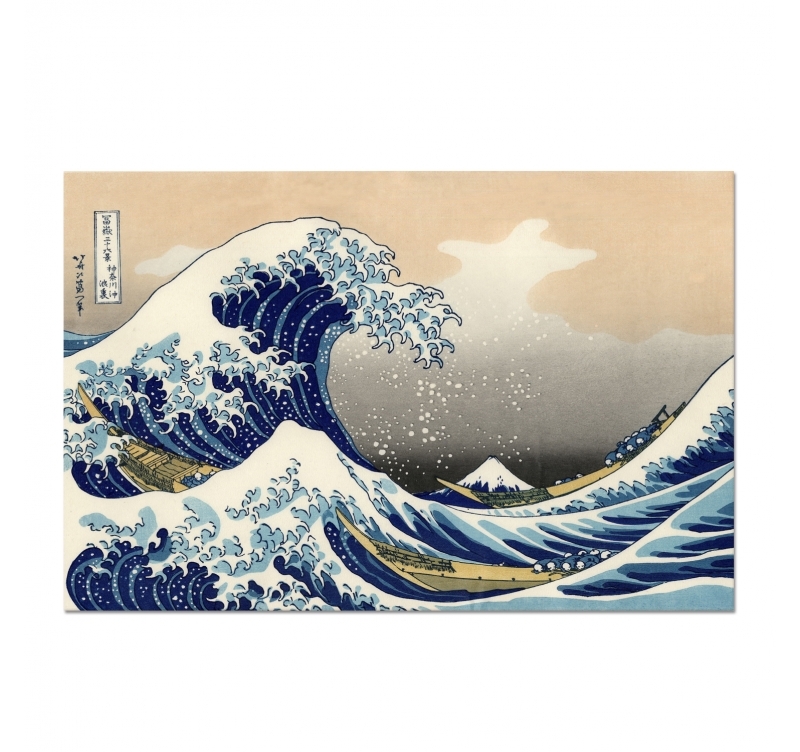 Directed by Hokusai, this world-famous wave comes in printed design canvas to adorn your walls. 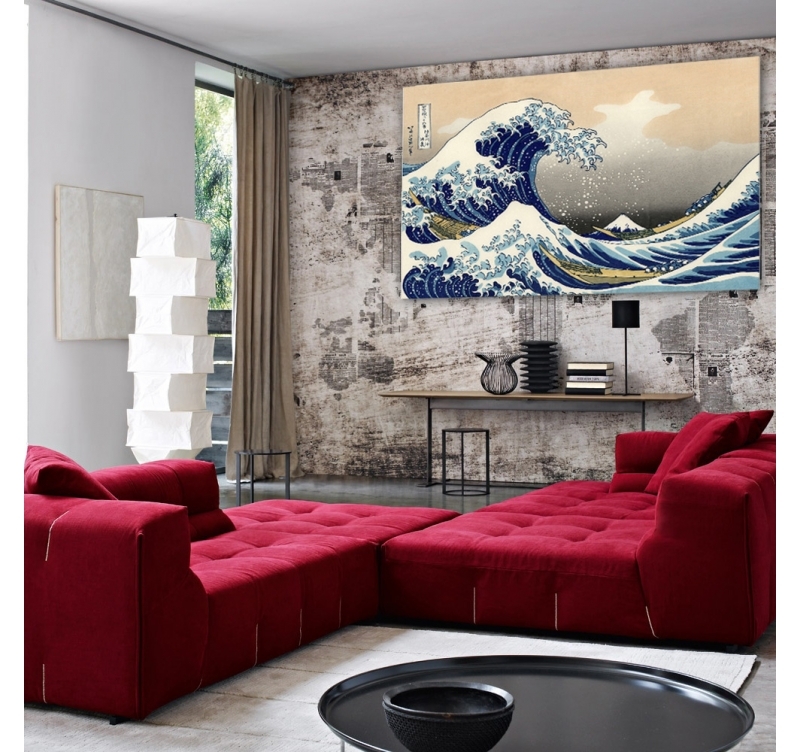 True work of art with its Prussian blue, this decorative canvas of the wave recounts perfectly the style of the artist. The way the waves were drawn on this canvas hypnotizes you by its swell effects and the different associated colors. Placed in the center of your wall decoration, this design frame will be the central piece of your home and will not fail to attract the eye of your guests. All of our modern canvas are printed on cotton canvas and stretched over a Canadian pine wood frame so that the frame is ready to hang. 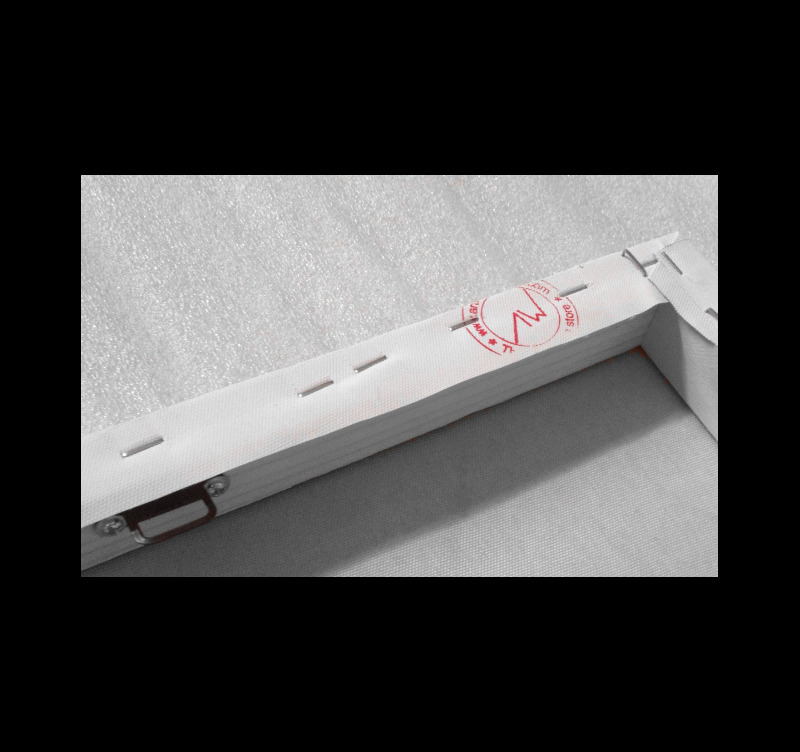 This Japanese wave is delivered in packaging with cardboard corners as well as hanging hooks.